The clipping file that I examined contained the following article. Unfortunately, there is no date on the clipping or any indication within the text as to the timeframe when it was written. My guess is that the article dates from the 1920s or earlier. 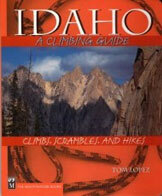 In 2018 we know there are no active glaciers in Idaho. 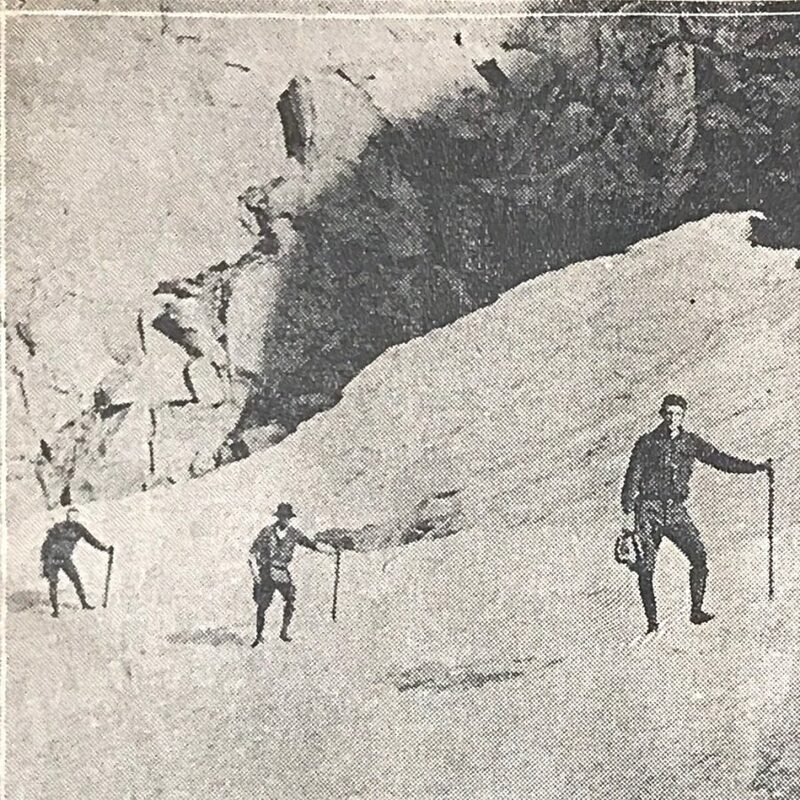 Pettit Lake is the only landmark mentioned in the article so it is safe to assume that the glacier was located west of the lake. Based on the distance and size measurements set forth in the article as well as the name Snowyside Peak, I think that the northern slopes of Snowyside Peak is a possible location. 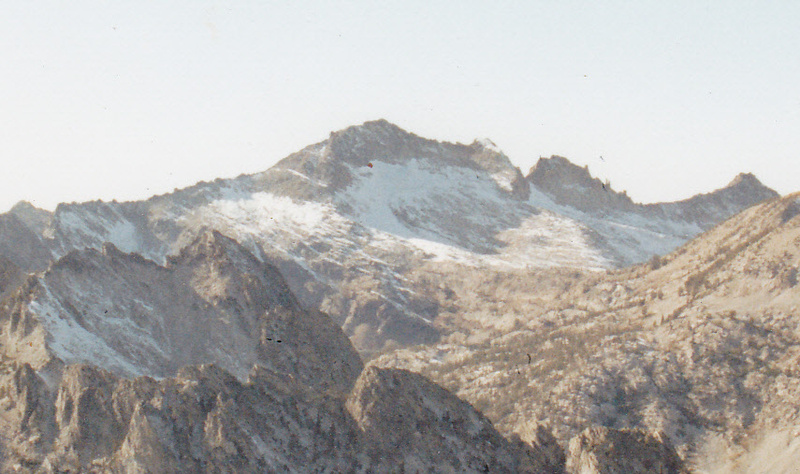 I added a photo of the northern side of the peak at the bottom of the page.
. See also The End of the Last Idaho Ice Age by Bob Boyles. Along with its balmy climate, industrial opportunities, scenery, and potatoes Idaho can also boast of those phenomenal masses of ice, the awe inspiring beauty of which each year entices thousands of tourists to Switzerland. 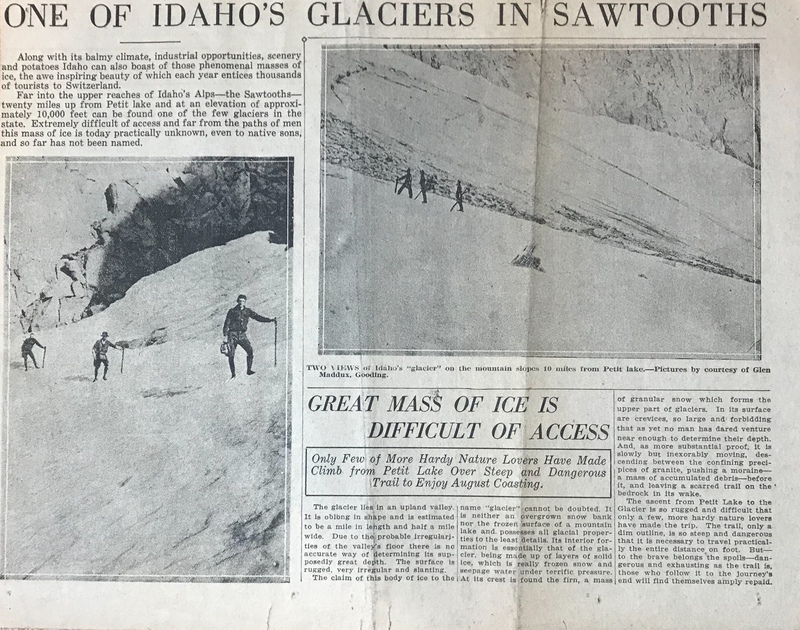 Far into the upper reaches of Idaho’s Alps—the Sawtooths—twenty miles up from Pettit Lake and at an elevation of approximately 10,000 feet can be found one of the few glaciers in the state. Extremely difficult of access and far from the paths of men this mass of ice is today practically unknown, even to native sons, and so far has not been named. The glacier lies in an upland valley. It is oblong in shape and is estimated to be a mile in length and half a mile wide. Due to the probable irregularities of the valley’s floor, there is no accurate way of determining its supposedly great depth. The surface is rugged, very irregular and slanting. The claim of this body or ice to the name “glacier” cannot be doubted. It is neither an overgrown snow bank nor the frozen surface of a mountain lake and possesses all glacial properties to the least details. Its interior formation is essentially that or the glacier, being made up of layers of solid lice, which is really frozen snow and seepage water under terrific pressure. At its crest is found the firn, a mass of granular snow which forms the upper part of glaciers. In its surface are crevices, so large and forbidding that as yet no man has dared venture near enough to determine their depth. And, as more substantial proof, it is slowly but inexorably moving, descending between the confining precipices of granite, pushing a moraine—a mass of accumulated debris—before it, and leaving a scarred trail on the bedrock in its wake. The ascent from Pettit Lake to the glacier is so rugged and difficult that only a few more hardy nature lovers have made the trip. The trail, only a dim outline, is so steep and dangerous that it is necessary to travel practically the entire distance on foot. But—to the brave belongs the spoils—dangerous and exhausting as the trail is, those who follow it to the journey’s end will find themselves amply repaid. 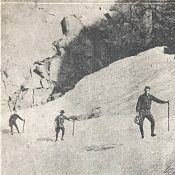 Was the glacier located below Snowyside Peak’s northern face?